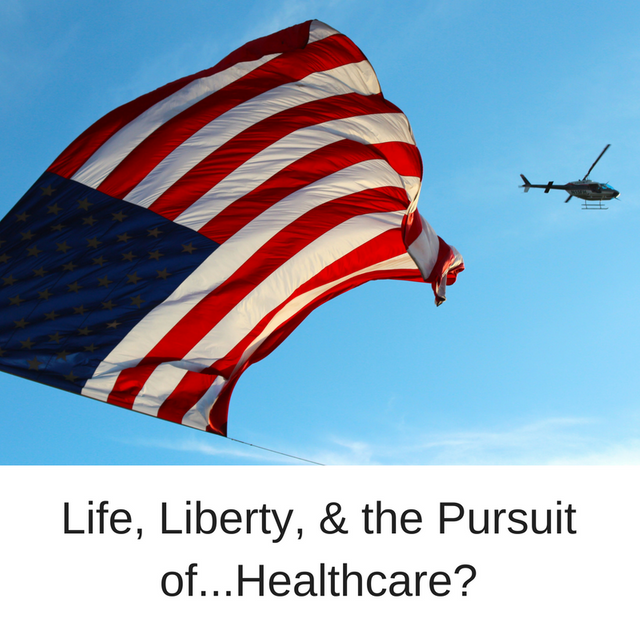 Life, Liberty, & The Pursuit of...Healthcare? Our country is now engaged in a great discussion of what the future of our healthcare will look like. At times like these, I sometimes wonder whether Mr. Jefferson, if he were to write today, would pen an additional right in our Declaration. To bring clarity to the debate on healthcare, and to decide how we feel about our care as Americans, it's useful to ask the question: would Mr. Jefferson add Healthcare to the list of inalienable rights today? Whats more important? Developing HealthCare Responsibility or HealthCare rights? Healthcare, immigration, voter rights, workers' rights, human rights. Russia's important, but don't you ever call these issues distractions.